Bill has graced the Freight stage with many memorable concerts over the last twenty years, collaborating with J. D. Crowe, David Grisman. David Bromberg. the Flatt & Scruggs Tribute Band, Jody Stecher, Fletcher Bright and many others. His annual California Banjo Extravaganza Freight concert and workshops have brought many five-string luminaries to the Bay Area, including Bill Keith, Alan Munde, Sammy Shelor and Tony Trischka (and mark your calendars now for this year’s Banjo Extravaganza on Saturday, November 12 with Danny Barnes and Joe Newberry). 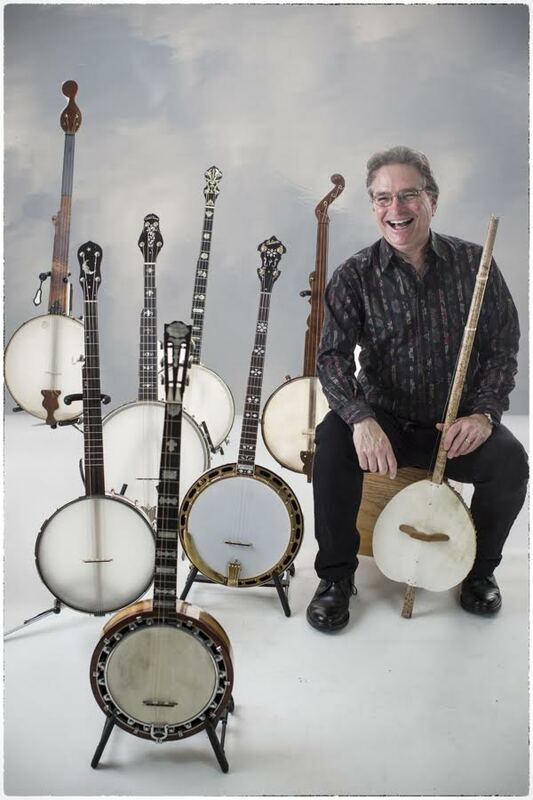 This time around, Bill brings his solo concert presentation The Banjo in America to the Freight stage in this special Sunday afternoon matinee concert. In The Banjo in America, Bill performs the music from his chart topping CDs and also much more: he takes the listener on a musical adventure, following the banjo from its West African roots to the New World, performing musical examples from the 1700’s to the present day on vintage instruments. From an 18th century African dance tune to the music of the Civil War, and from early 20th century ragtime to folk and bluegrass banjo styles to Bill’s own incredible original music, The Banjo in America illuminates as well as entertains, exposing audiences to over 250 years of musical traditions. Bill is the author of Banjo For Dummies and Bluegrass Banjo For Dummies, two of the most popular banjo books in the world. He has appeared on A Prairie Home Companion with Garrison Keillor and performed on a program with the San Francisco Symphony. Bill’s CD In Good Company features over 26 musicians, including the Infamous Stringdusters, Tim O’Brien, and Joy Kills Sorrow performing Bill’s innovative compositions that blend jazz, classical, folk and world music influences. This release charted #1 on the Roots Music Report/Cashbox Folk and Bluegrass Charts and the Folk DJ-List chart and was named to many "Best Of The Year" lists, including Pop Matters, Folk Alley and Prescription Bluegrass. Bill’s just released CD is Songs That Are Mostly Older Than Us, recorded with legendary 84-year old Fletcher Bright and Americana icons Norman & Nancy Blake.